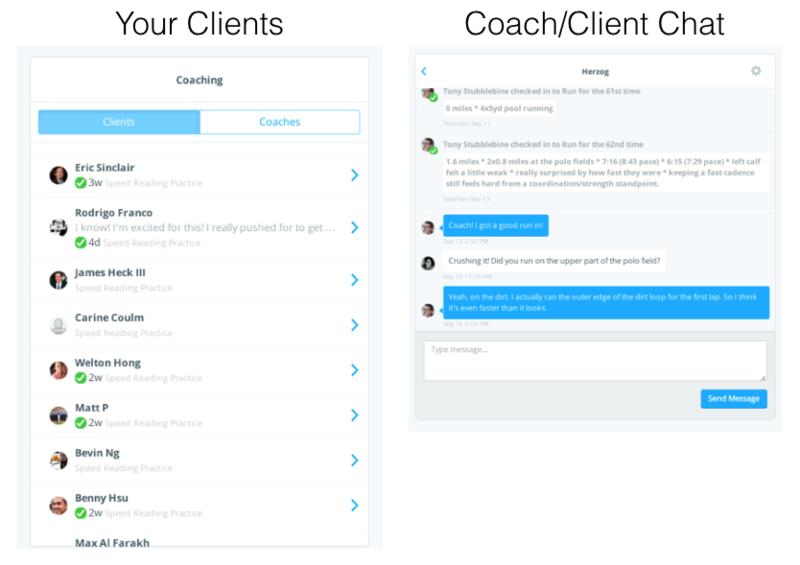 Then coaches and clients check in with each other nearly every day. The main purpose is to hold your client accountable to a goal and help them build momentum. Your secondary purpose is to answer any questions a client may have. Coaches will see a list of all of their clients. By clicking on a name, you go in to the chat area for that client.